If the class you are interested in is not schedules please e-mail us so that we can accomodate you. This class contains All 3 Levels of the Kundalini Reiki system. This class is for anyone who has had Reiki Master training. It is complete with three levels, three attunements, master symbols and treatment symbols. The energy works on the emotional , spiritual levels and with karmic patterns and issues. You must be a trained Master in Usui Reiki first since this energy is advanced and moves quicker for faster healing, physically, mentally, spiritually and emotionally. Upon class completion, all teachers will be registered with the Center and agree to use the same symbols, attunements and class manual as used in their classes. 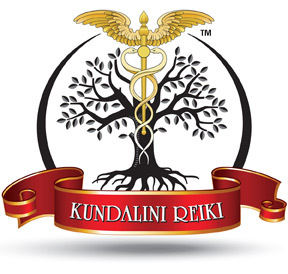 After class you will have the option to register with the Centre for Reiki Training as a Kundalini Reiki Master. This class is a very powerful healing class that offers more insight, love, and knowledge, to apply not only to ourselves, but to others. It is a very fast energy and most people have very profound wonderful changes occur after taking the class and receiving the attunements. Note: Kundalini Reiki is advanced. Pre-requisite for Master classes... all students must be a Certified Reiki Master first. When you receive your first attunement your healing channels are opened to enable channelling of Reiki energy. While this is happening your body is prepared for the Kundalini awakening in Kundalini Reiki 2. The Crown, Heart and Hand Chakras are opened and strengthened which allows healing of the person being attuned and of clients. You will be shown how to perform a healing treatment and how to heal distantly. In this attunement and level, a Kundalini awakening takes place. Channels are strengthened and the main energy channel is opened safely. At this stage the Kundalini energy can travel from the base chakra to the Solar Plexus chakra. This prepares the way for a full Kundalini awakening at the next level. You will learn a meditation technique which increases the power of the Kundalini energy. This enables further cleansing to occur. You will receive 3 attunements, manuals and certificate . Fantastic workshop presented in a professional and flowing manner. Thanks! A wonderful warm environment to learn a very powerful reiki. I had profound insights and deep healing. The clearing was powerful and deep. 'Karen & Kerri are very knowledgeable, they present the information in a practical and easily accessible manner. They are the perfect compliment for one another ~ balance. These booster attunements are usually offered over a course of 2 evenings to allow space between the 2 sets. They are extras and not a required part of the Kundalini Reiki Master Class Program, although they do strengthen and enhance the energies. It is recommended there be at least six months between the Kundalini Reiki Master Intensive Class and this class to allow for optimum integration of the energies. Each of these attunements strengthens the previously received attunements: With each step all chakras, the main energy channel and the channels to the hands are widened and strengthened. After Kundalini Reiki Booster 3, your power to channel Reiki will have been increased approx. 100 percent! Each of these attunements strengthens the previously received attunements: With each step all chakras, the main energy channel and the channels to the hands are widened and strengthened. After Kundalini Reiki Booster 6, your power to channel Reiki will have been increased approx. 300 percent! You need to be a Kundalini Reiki Master to receive the Kundalini Reiki Boosters. You will receive attunements, a certificate and brief manual. If you have a group of friends, family or co-workers who would like to learn Reiki and you organize a group of 6 or more people, your class is FREE!